Exact data on the prevalence of hemorrhoids are rare. Therefore, we designed a study to investigate the prevalence of hemorrhoids and associated risk factors in an adult general population. Between 2008 and 2009, consecutive patients were included in a prospective study. They attended the Austrian national wide health care program for colorectal cancer screening at four medical institutions. A flexible colonoscopy and detailed examination were conducted in all patients. Hemorrhoids were defined according to a standardized grading system. Independent variables included baseline characteristics, sociodemographic data, and health status. Potential risk factors were calculated by univariate and multivariate analysis. Of 976 participants, 380 patients (38.93%) suffered from hemorrhoids. 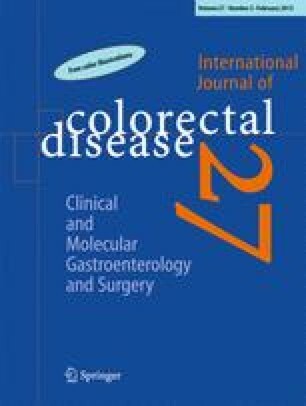 In 277 patients (72.89%), hemorrhoids were classified as grade I, in 70 patients (18.42%) as grade II, in 31 patients (8.16%) as grade III, and in 2 patients (0.53%) as grade IV. One hundred seventy patients (44.74%) complained about symptoms associated with hemorrhoids, whereas 210 patients (55.26%) reported no symptoms. In the univariate and multivariate analysis, body mass index (BMI) had a significant effect on the occurrence of hemorrhoids with p = 0.0391 and p = 0.0282, respectively. Even when correcting for other potential risk factors, an increase in the BMI of one increased the risk of hemorrhoids by 3.5%. Hemorrhoids occur frequently in the adult general population. Notably, a considerable number of people with hemorrhoids do not complain about symptoms. In addition, a high BMI can be regarded as an independent risk factor for hemorrhoids. There were no conflicts of interest, sources of financial support, corporate involvement, patent holdings, etc. involved in the research and preparation of this manuscript.